Being one of the reputed firms in the industry, we are offering a wide range of Wood Balli Rental Service to our patrons. These are rendered by our professionals according to the client’s demands. Together with this, offered services are highly credited for their promptness and reliability. 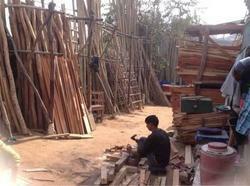 In this type a vertical wooden pole of Teak wood or Sheesam is fixed in the ground. The pole is smeared with castor oil, which helps to minimize excessive friction as the body comes in contact with the pole. Being a remarkable enterprise, we are engaged in offering Suru Wooden Pole. We are an eminent organization that is engaged in trading and supplying Sal pole and Eucalyptus pole to construction companies and builders . Sal pole and Eucalyptus pole are vary commonly used in Piling , centering, standing in construction. 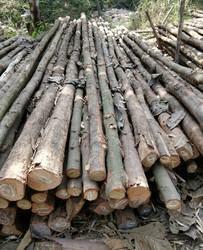 Our high quality wooden poles(Balli) are being widely used for multiple purposes like construction, tents, etc. Our industry leading prices and extra-thick and fine quality of wooden poles separate us from other sellers. Sizes can be customised as per requirement. We are offering Eucalyptus Pole to our clients. Reckoned amid one of the credible market names, we are willingly betrothed in offering to our patrons Saru Pole.